For a long time, I’ve admired the look of a big flag hung in a room to serve as art. Doesn’t matter how simple or detailed the flag, I’m a sucker for the look. Emily Henderson has two that show how great this large-scale art can be. A vintage Red Cross flag above a sofa fills that large expanse without feeling overbearing. 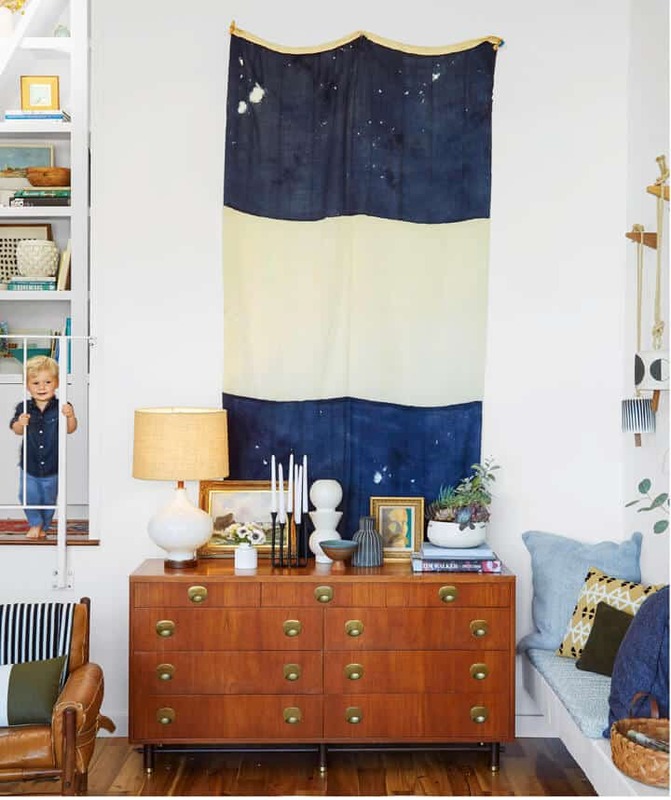 In her current house, she has a simple blue and white stripe flag above a credenza. Both designs are simple, two color styles that make a bold statement, without needing a frame. 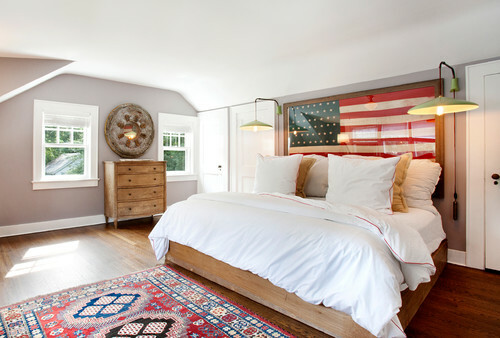 Or, when framed, the flag becomes a piece big enough to anchor a bed, serving as a headboard. So I know flags as art isn’t a new thing, but I’ve recently added one to our home, with a twist. The lovely ladies behind Flagology recently asked me if I’d want to try a custom house flag, either outside or indoors. A million options ran through my mind, designs, colors, even where I could hang it. With such a neutral laundry room, I thought it’d be fun to add large scale, colorful art in the mix. At 28 inches wide by 40 inches tall, the size fills the end wall perfectly. While I loved everything about it, I realized the light weight piece would work even better in the basement hall. Why does the weight matter so much on this wall? Well, this wall is mostly a pocket door and essentially only drywall to hang anything on. So I found a section of wooden dowel, ran it through the top pocket, and added twine to hang the flag from. A thumb tack easily holds the flag in place, and doesn’t need heavy-duty hangers. Thanks to the thick, outdoor quality fabric, I don’t have to worry about mess hands, shoulder bumps (not to be confused with shoulder pads), or anything else damaging the flag. That’s not something I can say about traditional frames with glass or even canvas paintings. Creating a custom flag was as simple as uploading a .jpeg file, clicking the mouse a few times, and done. Knowing I wanted this to look a bit more like art than a traditional flag, I created a design based on a paint by number scene. The Flagtastic fabric kept the greens of the mountains and trees vibrant to really liven up this dark little hallway. Now to get some more art on these walls! I’ve had a special print waiting in the wings for that wall at the end of the hall. Getting to the accessory stage is so much fun because that’s where the personality and life come into play. If you like this idea, you’ll love that Flagology is giving one custom house flag or doormat to a lucky reader! Just for our readers, Flagology is offering 20% off all custom flags and doormats (does not include Create4Me or accessories)-just enter the code OHA20 to redeem your deal. This post was sponsored by Flagology, but all ideas, opinions, and photos are my own. We had made some progress, especially compared to our starting point, but the to do list still had plenty of unchecked boxes including a new bed, seating arrangement, and possibly painting the wood wall white. 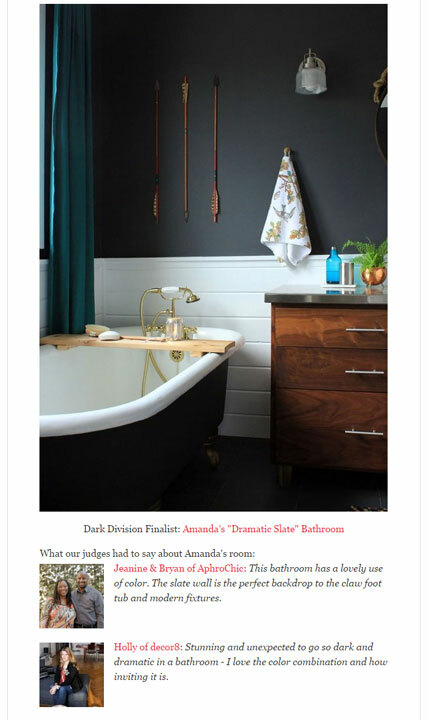 That last item, painting, was something I’d been considering for a while, to better flow with the white tongue and groove planks in the adjacent bath, entry, and kitchen. Having painted new wood before, I suspected this reclaimed wood would toss me a curveball thanks to all the tar paper residue. Fortunately, after painting our deck ceiling, I had the perfect product in my possession: Sherwin Williams Exterior Oil-Based Wood Primer. The reason I had to wait so long to tackle this step was the uncooperative weather. Stupid summer with temps constantly in the 90’s. Oil-based primers and paint are always stinky, so I waited for a few days of cool weather that would allow open windows and proper ventilation of the room. My first coat of primer covered the wood beautifully, but the tar areas bled through lightly. Per the instructions, I waited 24 hours before reapplying a follow-up coat for thorough, opaque coverage. This primer is thick, and filled in some of the spaces between the boards, making it look sloppy. Knowing I’d still have to paint, I held off cleaning out the grooves. After two coats of white paint, I used a utility knife to scrape the paint out, leaving clean gaps and a full textured ship lap looking wall. Though I liked the warmth of the wood wall, it didn’t flow with the rest of the room or house. Painting the accent wall white gives me a blank slate to work against. Moving forward, I still have projects to tackle, like a new bed, complete with a lovely green velvet upholstered headboard hence the taped up text fabric. While I was making changes, I switched out the lamps and art. The triangular lamps I made took up a lot of space on our floating nightstand, so while in Minnesota I picked up two Ranarp sconces from Ikea. Smaller light fixtures left more space above the nightstand than before, so I painted feathers on watercolor paper to create science poster art. 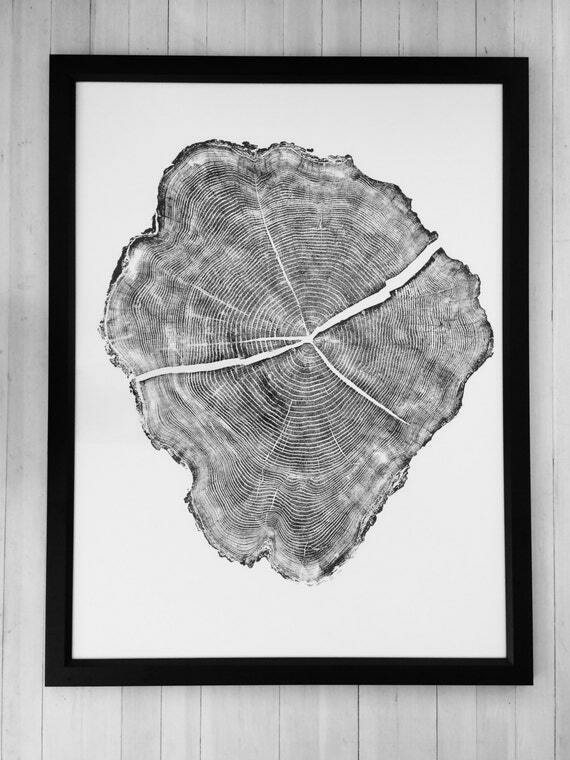 Each piece cost less than five dollars and didn’t require frames thanks to the style. I cut quarter-inch thick by 1 1/2 inch wide hemlock strips one inch longer than the paper, applied a coat of special walnut stain, and stapled through the paper into the back of the wood. A string of twine is a simple hook, also stapled into the wood. Thanks to the lightweight design, a thumb tack with a small wood slice glued to the front keeps the art in place. Then, as usual, one thing leads to another and I didn’t like the mismatched look of the dark art wood and the light nightstand. Not to worry, a coat of matching stain on each was a quick fix and really finished off the look. Up next, sewing a matching set of curtains for the window above our bed. After many attempts to get my hands on another six yards of white linen, I finally broke down and had the fabric store order some for me. With the deck project in full swing, I’m not sure when the bed will be a priority, but it’ll make all the difference in finishing off the room. Now to decide how I want to handle the other side of the room.